Summary: A hungry young mouse wants something sweet & new to nibble, not the usual cheese & crumbs. 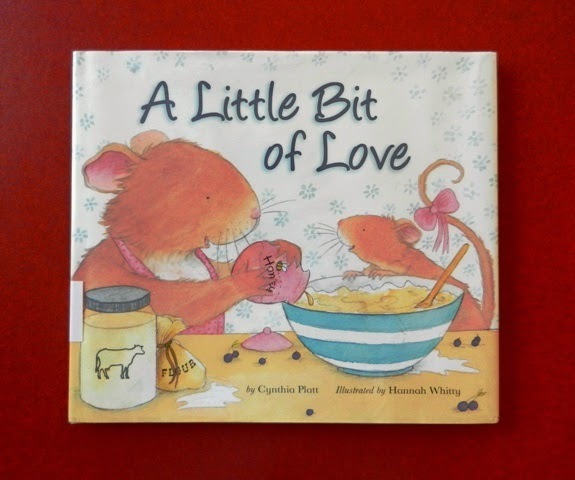 He & his mother embark on a journey to gather the ingredients to make a special treat which will be made “with a little bit of love.” As they gather, Mama explains the loving work that goes into making each ingredient & expresses her gratitude for each source. Then they make a delicious huckleberry pie. Hanna’s Comments: Young children will love the mystery & then coming together of these ingredients. If making and eating a pie could be added to the end of the lesson, it would be such sweet learning! Because this book is about cooking and all the love that goes into that task, you can tie it to the story of God's loving provision for Elijah and the widow (see scripture reference below). There's similar book that offers more advanced concepts, Who Put the Cookies in the Cookie Jar? by George Shannon. Here readers will consider all the people who worked to make the cookies possible and yummy. This book also has a nice international flavor to it.